3 Bedroom Town House To Rent in Leicester for £800 per Calendar Month. A well presented three bedroom town house located in excellent location for access to Leicester city centre offering perfect accommodation for a family or a couple. 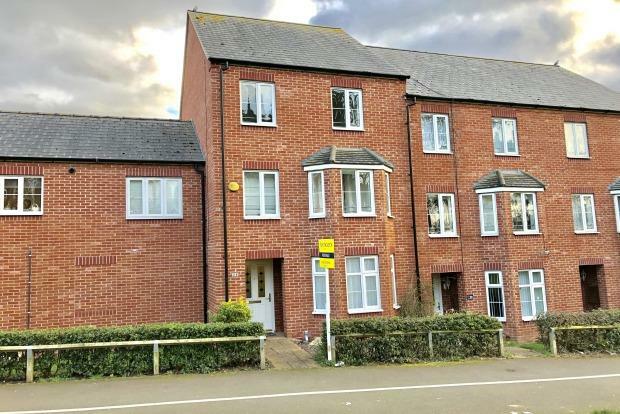 In brief the property comprises of entrance hallway, downstairs front lounge area, kitchen with fitted units finished to a modern standard, dining area with patio doors to garden, downstairs utility room and downstairs w.c and sink. The first floor comprises the main lounge area which has been finished to a neutral decoration, bathroom with w,c and sink, main double bedroom overlooking the rear garden. The second floor comprises two double bedrooms and another shower room with w.c and sink. Externally is a tiered rear garden, single garage and an allocated parking space.